TJSJ (SJU) airport completely modeled with significant attention to detail. Shading and occlusion (texture baking) effects on all buildings. Surroundings extremely detailed, 2 square miles of customized buildings and objects (not autogen). More than 70 square miles of photo scenery with hand placed autogen. Covering both east and West of San Juan. Surrounding land class and water class. 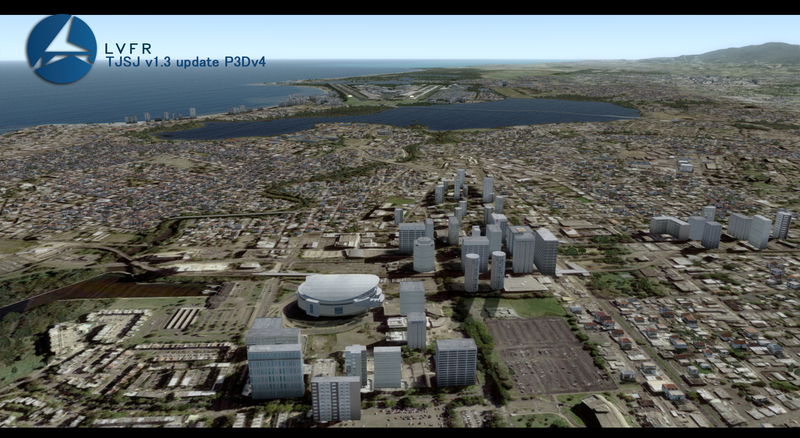 Custom designed and placed landmarks, buildings, stadiums for the city of San Juan. Static derelict aircraft, and static Military aircraft. 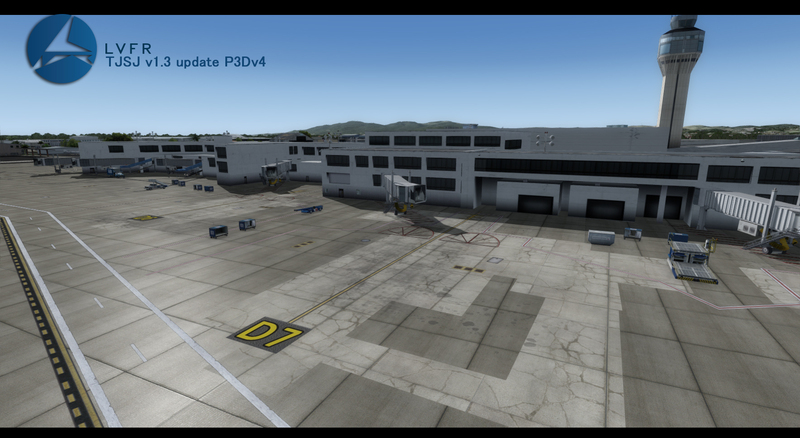 Modification of TJIG airport making it more realistic and correcly placed with stock objects. This is a beautiful airport and a great place to fly. Outstanding scenery. Well done. Nicely done but Old Town San Juan and the docks at Old Town are neglected. El Morro Castle is there, but nothing else. 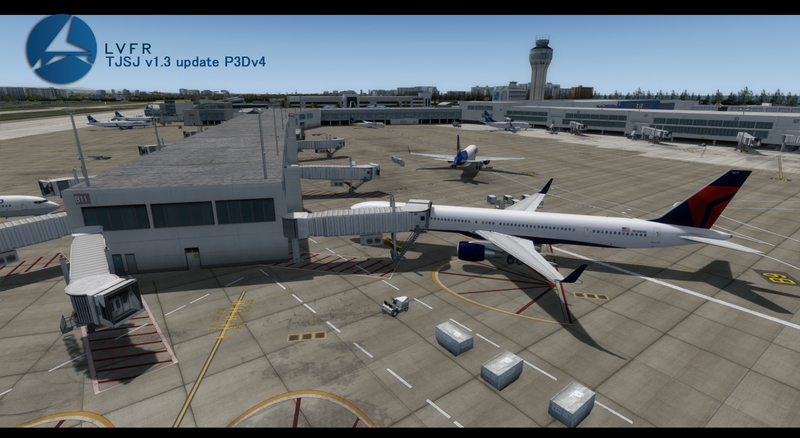 The graphics and the performance are wonderful and it is an exact copy of the real Airport ... 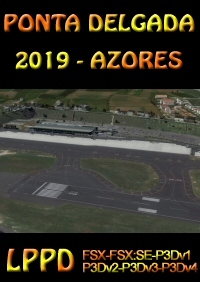 I mean as real as it gets but I am not very happy with the software because when I am programming a flight and I have selected some gate or position my plane appears Inside the buildings and do not aligned with the yellow line. I hope there is a patch to solve this problem. However, I think it's a very good job and a good price. 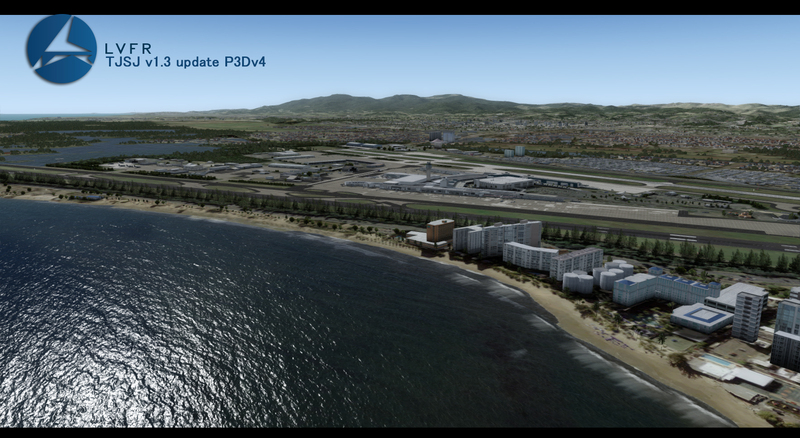 Now LatinVFR SAN JUAN its compatible with P3Dv3. Simmarket were kind enough to send me an update of the product with the P3Dv3 installer. Thank you Simmarket and Thank you LatinVFR!!! One of my favorite sceneries,Awesome!!!!! This is my second LatinVFR product since Miami and I love it. I've been to Puerto Rico many times and this scenery is perfectly done. It meshes very well with FTX Orbx Global. Five stars! They did it again, amazing scenery, worth every buck! If your a fan of Flight Simulators you have to buy it,especially if you live in the Caribbean an even more if you live in Puerto Rico!!! WOW! Thank you LatinVFR for this wonderful rendition of TJSJ in La Isla Del Encanto. Gracias! 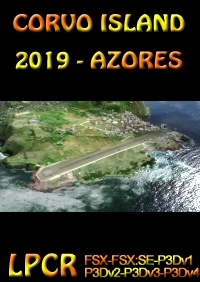 Outstanding scenery from Latin vfr in amazing recreation of TJSJ from not only the airport but the surroundings adding that real feeling of being there. 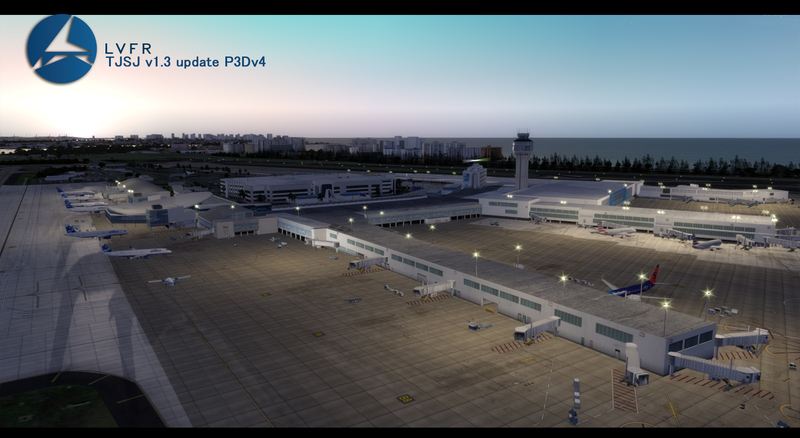 After waiting so many years since the fs2002 days for a great detailed San Juan airport with the el morro Morro a Castle from the 16th-century and the Teodoro Moscoso Bridge and so many landmarks and Hotels recreated also a focus city for JetBlue airlines. All I wanna say is wow!!!! Good jobs guys it is amazing I've already flown in from Santo Domingo I was on final during a thunderstorm at sunset it looked gorgeous. Add the P3D 2.2 cloud shadows and i couldn't even line up with runway 26 because I was just staring at the outstanding scenery. 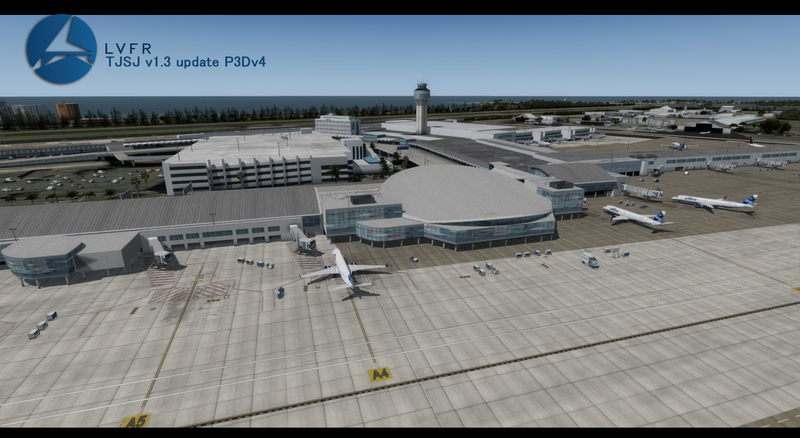 I'm also getting much better FSP than I do with KSAN. I haven"t dipped below 19.Everything so detailed so clean just keep it up it's a must buy!! Wow, what an amazing job by LatinVfr. I work right next to the airport (to the left of runway 8)and the building were I work and the surrounding ones are depicted accurately. From "Pueblo" Supermarket, the Intercontinental hotel, the Ritz and the multi floor parking garage were I park my car everyday right behind the Astraliz apartments (which are also in the scenery).  LatinVfr also place all the reference points you'll see while approaching the airport in real life, from the biggest mall in the island "Plaza Las Americas", the baseball park next to it and the Coliseum of Arts. I can write about how wonderful the airport looks, but is LatinVfr, we know how well they develop airports, but I got to say, terminal A at night is breathtaking. There are many , many more things to discover in this scenery, specially if you know the area that it will take me an entire page of the simmarket website to point them out. I can not thank LatinVfr enough for finally giving San Juan Intl. the update it desperately needed. Amazing - Latin VFR have definitely established themselves in the big time with this one! Great scenery! Latin VFR just seems to get better with every new release. The frame rates are amazing considering the high quality. 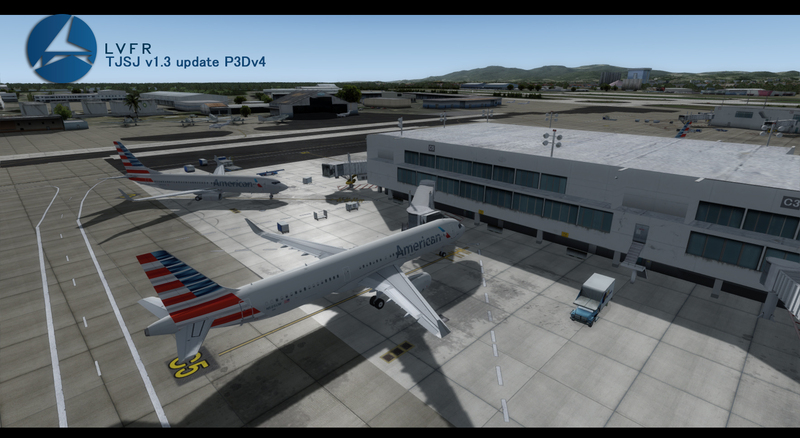 I had another payware version of Luis Munoz Marin Intl that I will no longer be using. 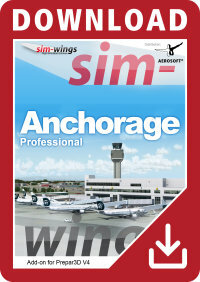 I highly recommend this addition to your flight sim library! Oh baby Latin VFR, you did it again! !I have all your South and Central Americas wonderful sceneries, and I have to admit that, this last one is simply stunning! !Real San Juan in FSX! !I have been waiting for this for so long! !The hole San Juan experience in front of your eyes and below your feet!! 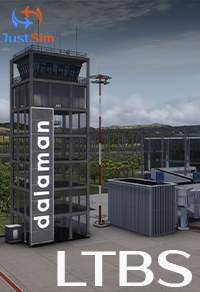 :):)TJSJ airport completely modelled in detail, the surroundings very well modelled as the real thing, and the most important for me is, that LATIN VFR has managed to represent the city of San Juan with many significant landmarks, buildings and stadiums!! !Keep up the good work! !Thank you guys!! Excellent scenery,top notch, to put it simply, get it! I don't have the top of the line graphic cards, but it doesn't need it! Great addition to the Caribbean Islands. This is a superb and long time neglected scenery. Well done by LatinVFR! Finally, we have it all, from El Morro, Moscoso Bridge with it's US and PR flags, the downtown beach resort hotels, and a great rendition of the San Juan airports. Amazing scenery, lots of details added to it and surrounding areas. Theodoro Moscoso bridge and El Moro included. 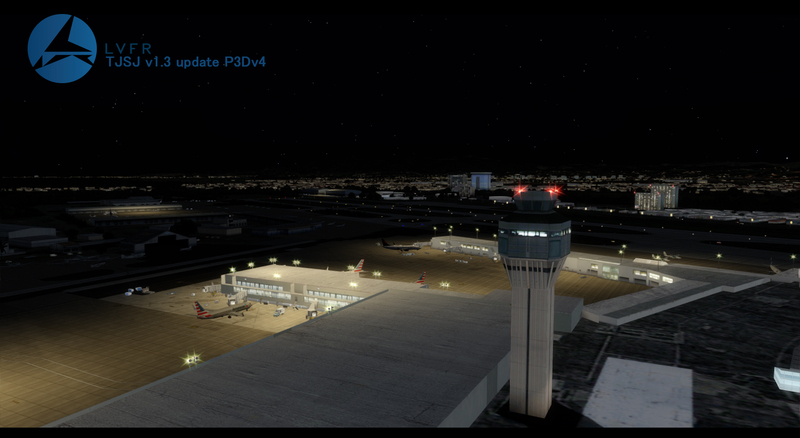 Getting great FPS with PMDG and payware aircraft's. Isla verde is full of buildings and hotels. Impressive scenery and a must get for your collection. Flying to San Juan just got way better. Thanks Ricardo and the Latinvfr staff for another great scenery. Shame though regarding lack of an FS9 version available at the moment. I'd purchase this as I have with your other sceneries in a heartbeat if that were the case. I think it's safe to say that there will just about always be a market for us FS9 holdouts. Look at what T2G did with KMCO, they ended up releasing FS9 version a few months after their FSX only release... and as far as I can see it has sold very well. Considering like TJSJ, there was a lack of a modern up to date KMCO product. I hope you guys reconsider. I may end up purchasing anyway for my P3Dv2, but for the time being I'd like to see an FS9 version as an option first. s Air Link,Air Flamenco as well as some other small charter companies that park at gate 32 but thats something that can be fix I guess in an update as well as the number of parkings on that area(Scenery provide like 6 parkings but in reality their like 12 to 15 parkings)Too bad no FS2004 version(Im still a fan of it) but hey.. Things have to evolve(if FSX is to laggy and heavy on your computer try it on P3D,runs great on it) If your a fan of Flight Simulators you have to buy it,especially if you live in the Caribbean an even more if you live in Puerto Rico!!! Thanks LATIN VFR!!!!! Excellent work!! !